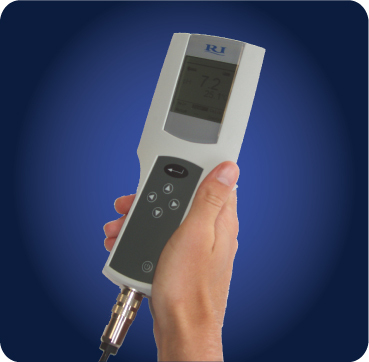 Research Instruments unveils new version of its market leading pH meter. Why use the RI pH Meter? 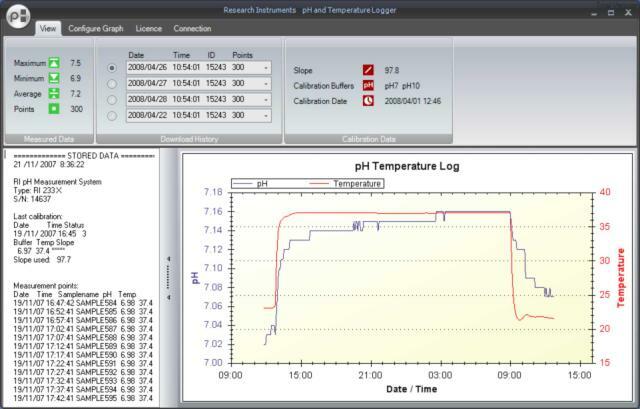 The RI pH Meter provides accurate, real-time analysis of media pH within the incubator using its unique custom IVF pH probe. The probe fits into all incubators and allows embryologists to adjust the CO2 concentration to obtain the correct pH in the media. 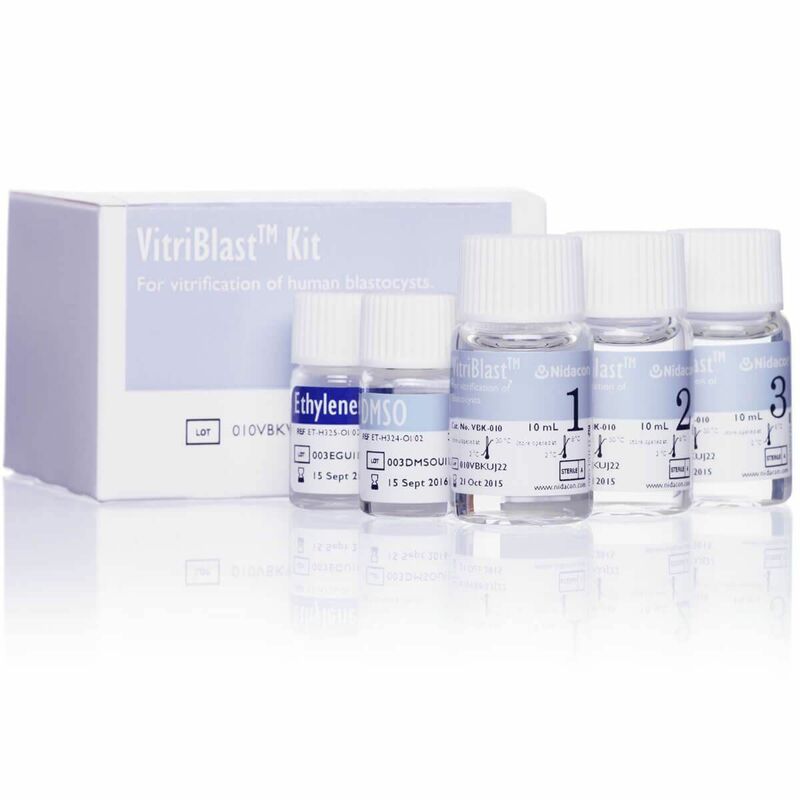 No more guesswork or assumptions when trying to deliver the correct pH for the media being used. Measuring the pH of culture media accurately is extremely difficult because the pH of media droplets under oil shifts above 7.4 within just 2mins 30 seconds of removal from the incubator. So the likelihood is, if measuring the pH of media outside of the incubator, that you are measuring artefact pH Levels. A media droplet is made up in the pH probe well and placed in the incubator. The thin ribbon cable can be passed out through a sample port or through the incubator door. The pH meter will then measure the pH in real-time displaying the value on the digital readout. The probe has a semiconductor sensor at the tip. The probe is placed in a holder with a central well which allows a media/oil sample to be placed on top of it. 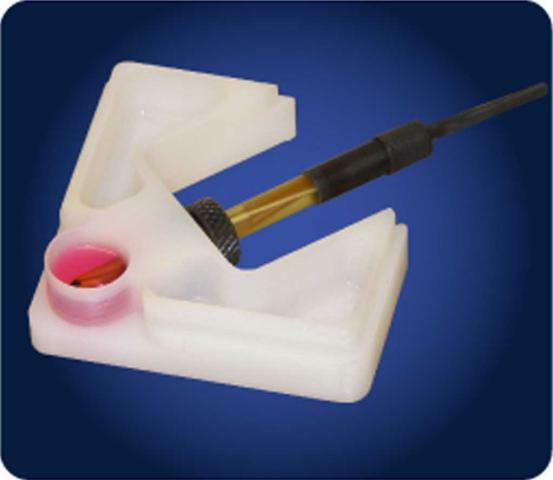 The probe contains a reference electrode that produces a voltage dependant on the pH of the solution. The probe also contains a thermistor to measure the temperature of the sample and compensate the reading. As an optional extra the meter can have onboard memory for datalogging. Test results stored by the pH meter may be easily downloaded to a personal computer for analysis and printing. With the new auto archiving software, the software is simpler and easier to use. Kindly send quotation of RI pH-Meter without probe for IVF Lab. Kindly send quotation of RI pH-Meter without probe. What is the approximate price of this pH meter?